ARTBA has launched a print and digital advertising campaign to promote industry awareness of the Safety Certification for Transportation Project Professionals™ (SCTPP) program. Launched in late 2016, the SCTPP focuses on raising hazard awareness and improving safety performance on infrastructure projects by testing the candidate’s knowledge on recognition and abatement of common hazards found on transportation construction sites—such as backovers, falls, temporary traffic control, excavations and motorist intrusions. Its target audience: transportation project workers, supervisors, foremen, inspectors, designers, equipment operators, manufacturers, materials suppliers and owners. The program helps ensure there are people on every project who have the basic knowledge and skills to address—and correct—safety hazards. A mix of editorial content, display ads and videos has been placed on the “Putting Safety First” page of the Engineering News Record (ENR) InfoCenter. It will be publicized via blast email to ENR subscribers and on the ENR website. The campaign runs through March 2018. Companion print ads featuring Safety Certification Commission Co-Chair and Austin Industries President & CEO David Walls and Zachry Corporation Employee Development & Training Manager Abel Luna are also running in ENR and in ARTBA’s Transportation Builder magazine. 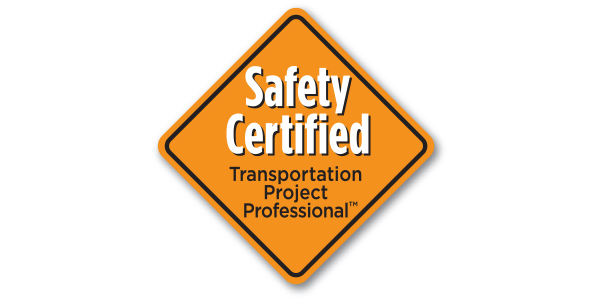 More than 115 professionals have earned the “Safety Certified Transportation Project Professional” credential and another 225 are in the pipeline to take the exam. Learn more about the program at www.puttingsafetyfirst.org.